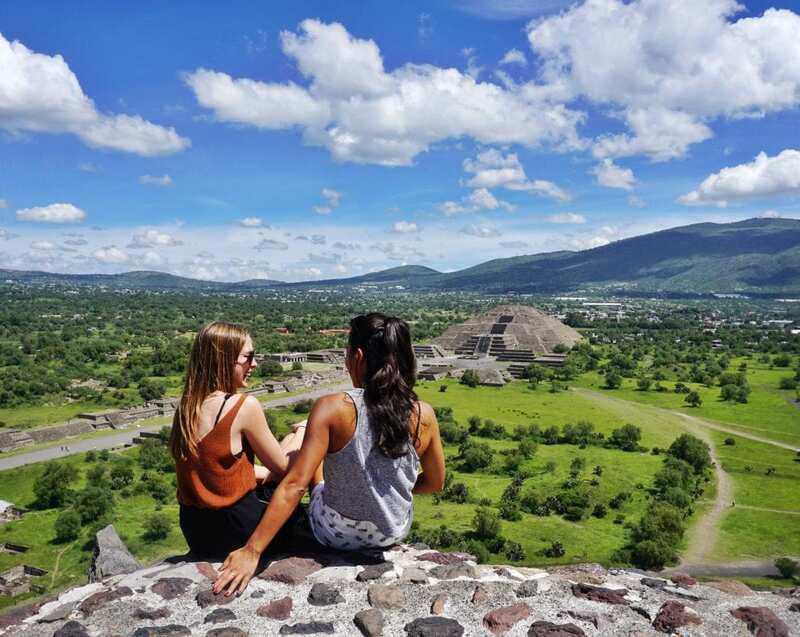 When asking around for tips on visiting Mexico City, one activity mentioned over and over was a trip outside of the city to the ancient city of Teotihuacan. 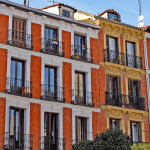 After passing along the info to my parents and looking up reviews on the area, it was settled- we would spend one of our mere four days in Mexico City outside of Mexico City. This place looked worth it. Instead of going at it on our own, since we only had a short time, we decided on a tour with Urban Adventures, a sub-company of Intrepid travel. 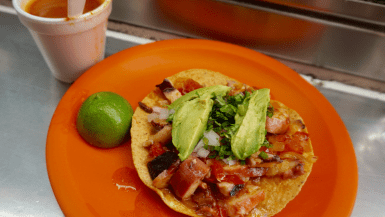 While many of the Teotihuacan tours seemed relatively similar, we went with Urban Adventures, instead, for the “after pyramid experience” which included visiting several local families who run small businesses in the area. As you may already know, I always try to Support Local as much as possible when traveling and loved the idea that this tour was helping to support small local family businesses. 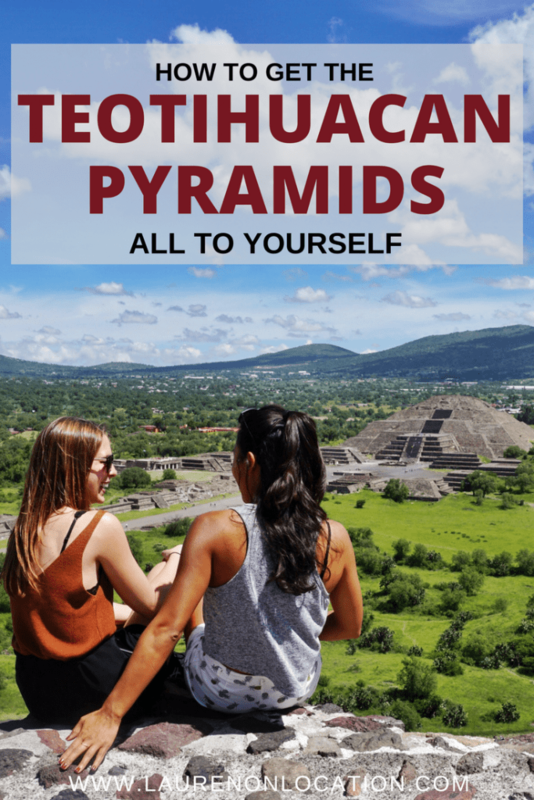 The group Teotihuacan tour with Urban Adventures has an afternoon start time, but a few bloggers I personally spoke to really pushed to go in the morning. Apparently getting to Teotihuacan early means better weather and fewer crowds. Since we were four traveling together, and I happen to loathe crowds of tourists (I know, ironic), we decided to splurge a bit and go with a private tour and a morning departure. 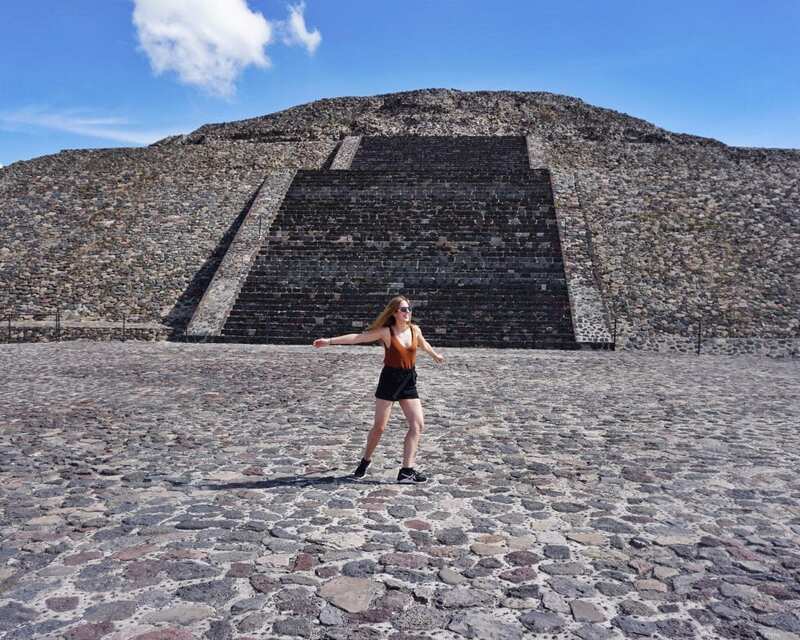 Well, it was probably a mix of both our off-season trip (Mexican children started school the day before) and our early arrival time, but we virtually had the city of Teotihuacan completely to ourselves. As we parked the van in the lot, only 4 other cars in sight, the man running the ticket desk smirked at our guide remarking- “madrugando hoy?” AKA “starting on the early side today?” Apparently, Mexicans aren’t early risers, which only worked to our advantage. So, I guess now I should tell you a bit about the history of Teotihuacan and its incredible pyramids. I’m not a history buff, and I don’t pretend to be, so I’ll keep this bit short. You can find the ancient Mesoamerican city Teotihuacan around 40 kilometers from Mexico City in a sub-valley of Valle de Mexico. 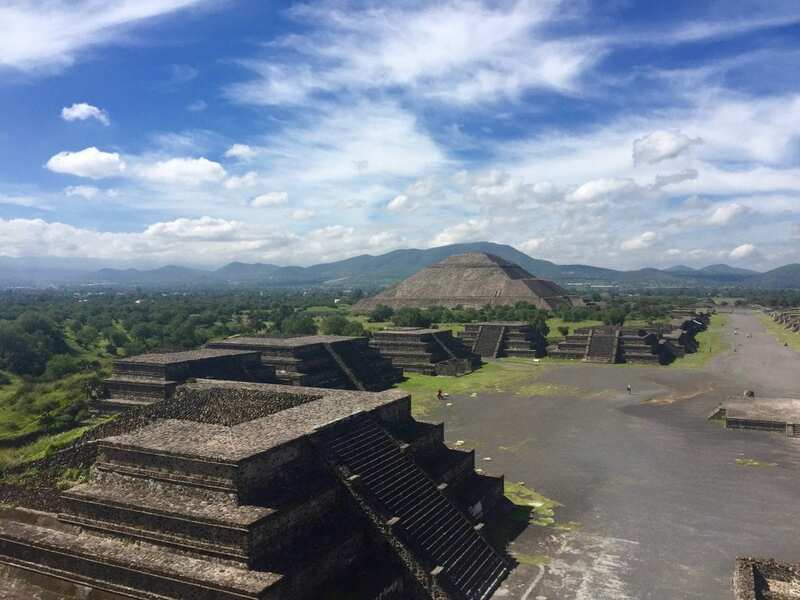 The name Teotihuacan is also known as the “City of the Gods” and is home to some of the largest and most magnificent ancient pyramids in the world. 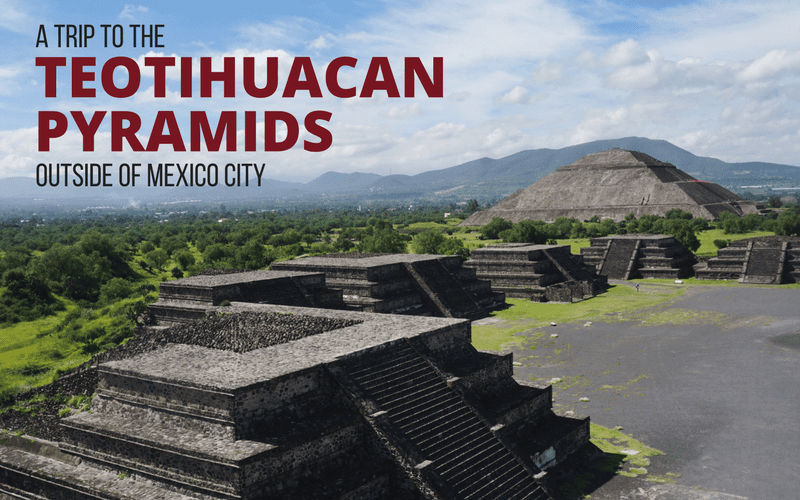 These Mesoamerican pyramids were built in the pre-Columbian Americas and date back to around 300 BC. At its height, Teotihuacan had a population of around 150,000 and was one of the largest first cities in the Western Hemisphere. 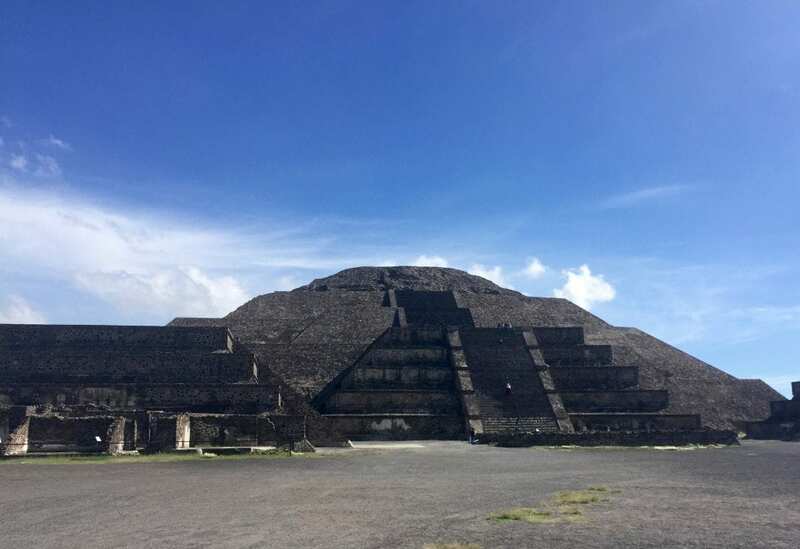 To me, the most notable features were the two pyramids, Pyramid of the Moon and Pyramid of the Sun as well as the central Avenue of the Dead, the cities main artery lined by smaller, yet still monumental pyramids. After a few hours exploring the site, taking in the views and climbing up both the Sun and Moon Pyramids, we head back to our private van to get to the good stuff- a short tour around the town. We were brought to three different family homes and got a real inside look at the local trades in the area. At our first stop, we got a look at an agave plant, and its different ancient uses, such as for sap, sweetening, tools and even as needle and thread! This family also sells souvenirs made of local obsidian and showed us a little of the long process of preparing it in their small shop. 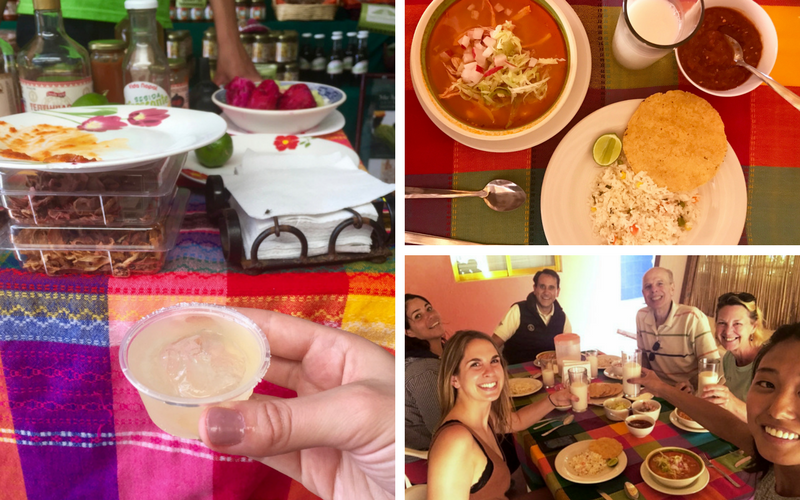 We ended our first stop with a sample of Mexican delicacies ‘pulque’ and mezcal and then head back to the van for stop number two. Finally, we ended our tour at the last family home for a delicious lunch that nearly sent me over the edge. Creamy chicken mole, veggie rice, tender pork and spicy Mexican soup. I ate myself into a mini food coma and set myself up for a nap on the ride back to the city. Go EARLY!– Like I said above, we almost had this incredible ancient city all to ourselves. It seems that Mexicans don’t particularly like to get up early and that most of the tourist tours are scheduled in the afternoon. It’s also way cooler in the morning and more pleasant when climbing the pyramids. Wear sneakers- The pyramids had many uneven steps and some were very steep, so it’s probably a good idea to wear good walking shoes. I saw many a silly tourist struggling in flipflops and even one in heels …. Women- bring tissues or napkins. The bathrooms were very clean, but there was no toilet paper, so you may want to bring some tissues along. Bring your own water. You’ll definitely want to have some water along, especially on a hot day, but it’s pretty expensive to buy inside. You can bring in your own, so I suggest getting a bottle or two ahead of time. Be prepared for direct sun. There was absolutely no shade, at all, once inside the site. I would bring a hat, sunscreen and if you’re really sensitive even an umbrella. Have you ever visited an ancient site like this? 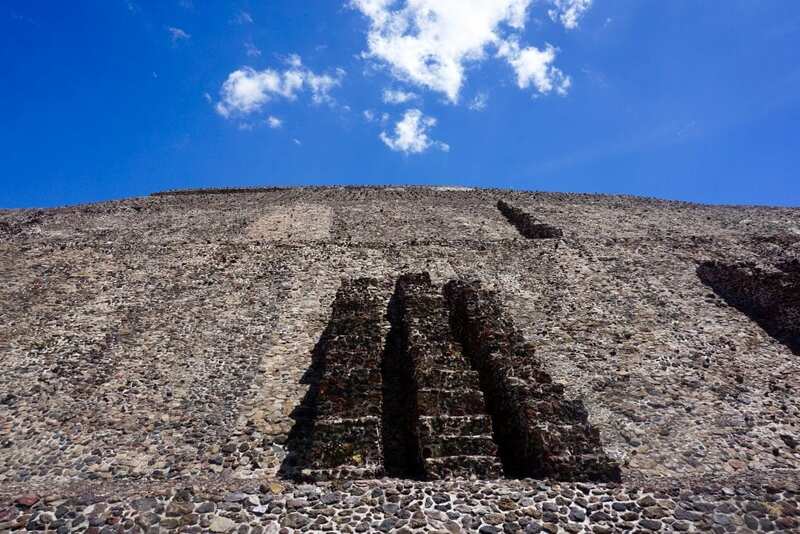 Would you like to visit Teotihuacan one day? 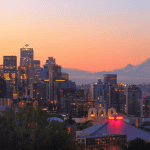 This week I’m highlighting The Couple’s Travel Quiz by Sarah at Endless Distances! Even though I’m currently single, I still found this quiz incredibly adorable and such a fun activity to do with a partner. 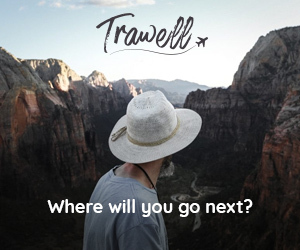 PLUS I have some pretty regular travel buddies that I could probably answer these questions with. If you haven’t already, be sure to go check out her post and spread the love! 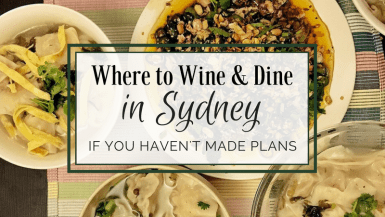 Thanks for linking up with us Sarah! ? We were also lucky to come early in the day before everyone else, and very much loved it! Great notes ?? I’ve been there a few times and it is amazing! Bahahaha! I can only imagine what thoughts crossed your mind when you saw the person walking/struggling around in heels. And getting up early is always the best thing to do when traveling to popular tourist spots. So cool that you had the whole place to yourself for a bit! What a place! Not only for the history but also the surrounding area too – what a beautiful combination!! And what a delicious lunch to end with… mmmm! Wow. That’s fabulous. I’d love to go there. 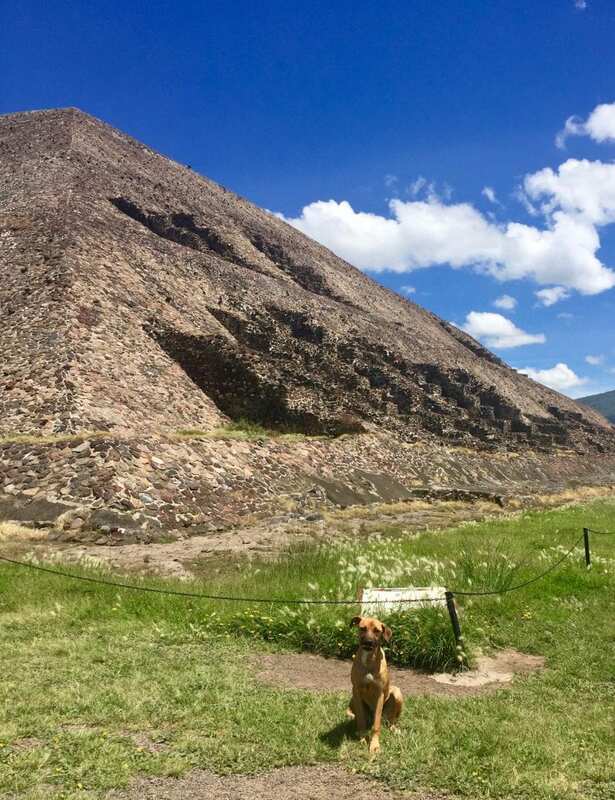 Love that dog posing in front of one of the pyramids! That photo from the top is completely incredible. I have been to Mexico City twice and never have made it to the pyramids. I know it is a must. I like the idea of visiting local families after the visit. How wonderful that you got this area all to yourselves! It makes sense that Mexicans aren’t exactly morning people, haha. 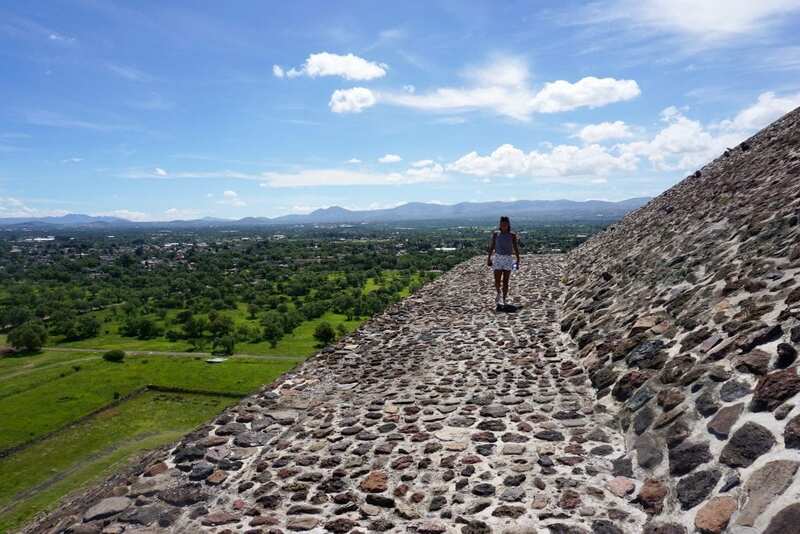 I’m definitely adding Teotihuacan to my Mexico travel list! Love all the photos in this post and it is EXACTLY my cup of tea. 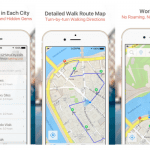 I love doing more unusual and local tours when I visit places, I hate the cookie-cutter ones! Also, thanks for featuring my post from last week 🙂 I hope you get a chance to do it sometime! The tour sounds fabulous. The pyramids look well restored (or are they in untouched condition?). I think my favourite part would be visiting the local families. I like a little less tourist attraction and a bit more local flavour. I certainly wouldn’t mind having a place like this all to myself!! And I can only imagine what it would look like during sunrise, that must be inredible!!! 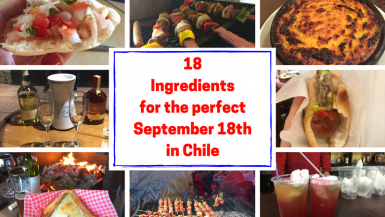 We love to cruise and every time we dock in Mexico we tell ourselves we are going to do an excursion to some of the pyramids, but then that super long bus ride deters us. Hopefully if we ever get to visit Mexico City for an extended period of time we will give them a go!! I would love to see the pyramids. How neat that you got to visit with local families as well! Oh wow, how cool that you had that places practically to yourselves! That’s amazing. They look so incredible.